A Mother-of-three has been charged with endangering the life of a garda who was dragged along the road by a car. Christina Joyce (30) was accused yesterday of intentionally or recklessly driving at Gda Thomas Gallagher, causing substantial risk of death or serious harm. She made no plea and was remanded in custody to appear again tomorrow. The incident happened just before 11am on April 9 on Macken Street in south Dublin, when Gda Gallagher, who was on checkpoint duty, was hit and dragged around 50 metres as he tried to stop a light grey Volvo XC90. 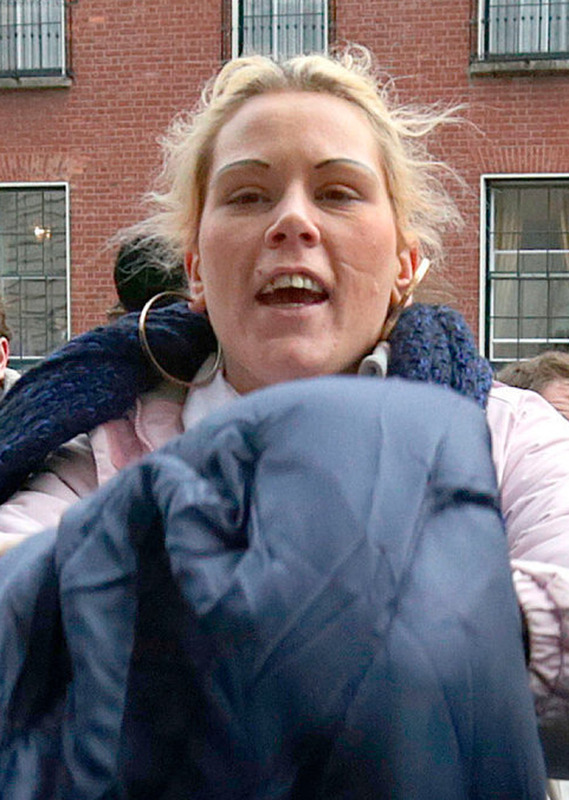 Joyce, whose address was given as a hostel on Harcourt Street, was initially charged with six offences, including dangerous driving and assault causing harm. She also faced three counts of burglary from the same day. Fifteen additional charges were brought yesterday. Among them were six for failing to keep the car stationary and remain at the scene, driving with no licence or insurance, dangerous driving at Grand Can- al Quay and Baggot Street and two charges for resisting arrest. Gda Christopher Jones and Gda Susan Lawlor told Judge Dermot Simms at Dublin District Court that Joyce made no reply when the fresh charges were put to her. The Director of Public Prosecutions directed trial on indictment on some of the more serious charges, meaning the case will be heard before a judge and jury in the Circuit Court. Ms Joyce's lawyer, Michael French, said a bail application would be made later. Legal aid was granted. At an earlier hearing, Gda Jones objected to bail due to the seriousness of the allegations. He had said Gda Gallagher was "dragged along by the vehicle driven by Ms Joyce" and suffered a dislocated knee and ligament injury. He said the offences can carry maximum sentences of between five and 14 years.